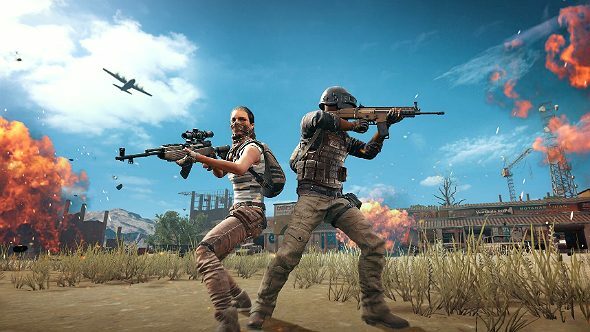 Where fast-paced multiplayer games like Call of Duty and Overwatch encourage you to get stuck into the thick of the action, it is perfectly possible to gain ultimate PUBG survival and claim victory against the 99 other players by only getting one kill. It’s the way I, non-famous PlayerUnknown’s Battlegrounds coward Harry Shepherd, like to play. So, if you want to survive PUBG like me, here are a few tips for you. If you struggle in mano-a-mano scraps, simply do what any sane person does with all their other problems in life: avoid them. 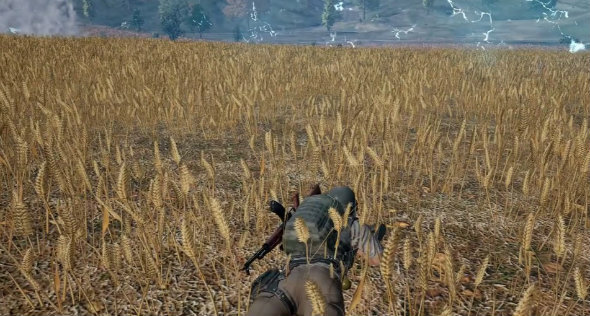 That’s right, sticking your head in the sand is a perfectly valid tactic when it comes to PUBG. Sure, the Twitch streamers are all finishing games with over 20 kills and all of the best gear, but who’s to say that crawling your way from play zone to play zone and refusing to fire your weapon isn’t just as effective? Related: here are the best multiplayer games on PC. To do so most effectively, check out our PUBG survival guide below. It is almost certainly the best PUBG survival advice you will get from a skittish namby-pamby like me, camping in a secluded corner. 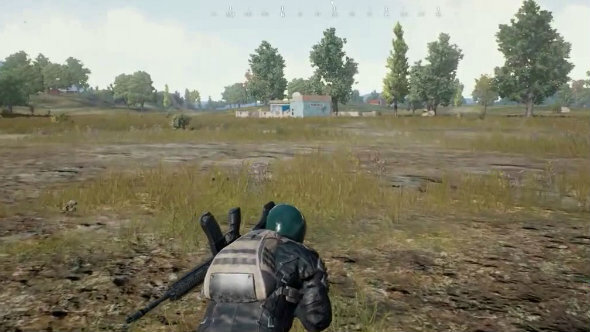 Any coward’s guide for PUBG survival must be based on the assumption that, when faced with a competitor in combat, we will lose. That is ok; let those overconfident, guns-blazing types kill themselves and then step over their mangled corpses to the finish line/circle. Pride is for the deceased, and we are quite happy being merely frowned-upon and alive, thank you very much. Only initiate a fight if you are certain you can come out unscathed. Firing will also reveal your location to everybody nearby, so it is hardly the best tactic for hiding. You will almost certainly be attracted to the enticing morsel that is the body of someone freshly-savaged, but just because they are dead does not mean you are alone. Combat will have put everyone in the vicinity on high alert, and there is always the chance that someone else is watching you trot happily over to hoover up some scraps of gear. PUBG survival top tip: paranoia is your friend. So, when looting after a fight, make it quick and practice constant vigilance. Unless you are lucky enough to set up shop slap bang in the middle of the safe zone, you should always be moving. 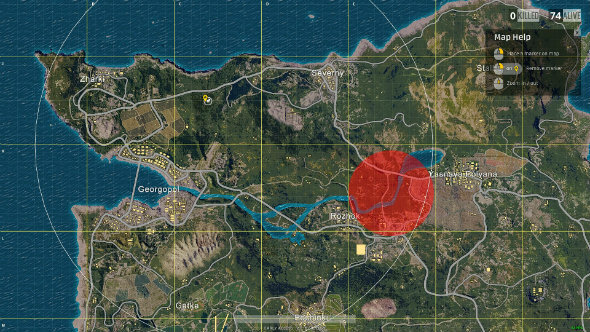 Even if you are in or near the circle, you do not want to find yourself scrabbling to safety at any point. 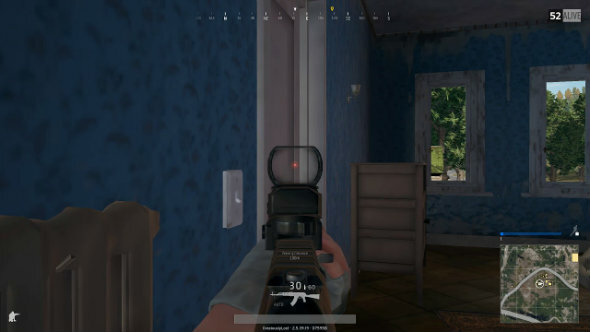 When you are moving in desperation to maintain your PUBG survival, your cautious instincts are drowned out in favour of a mad dash away from the blue electric wall of death. That makes you a sitting duck for those pesky players prowling the circle’s edge. Vehicles are loud but useful, so use them with caution if you want to extend your PUBG survival. If you can maintain your spot within the circle or can get there with time enough for a light stroll and some sightseeing, disregard using vehicles entirely. But, if tragedy strikes and the safe zone could not be further away from you, have your car keys at the ready. Check your surroundings before you set off and mark a waypoint well within the circle, but away from built-up areas. Keep an eye on your fuel gauge and consider picking up a gas can if you have space, too. If some brazen blackguard takes a few pot shots at you in transit, put your foot down and cross your fingers – keeping your hands firmly on the wheel, of course. Once you have reached your destination, get as far away from the vehicle as you can – other players are likely waiting for you. 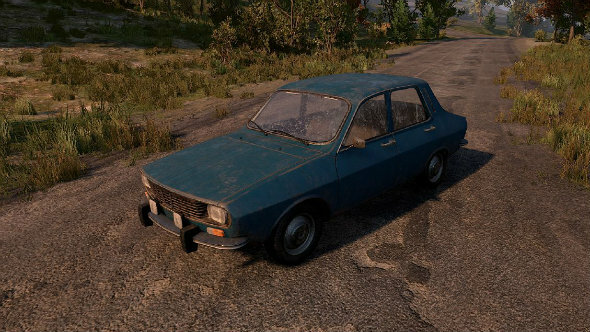 Vehicles are useful for PUBG survival, but should be used with caution. 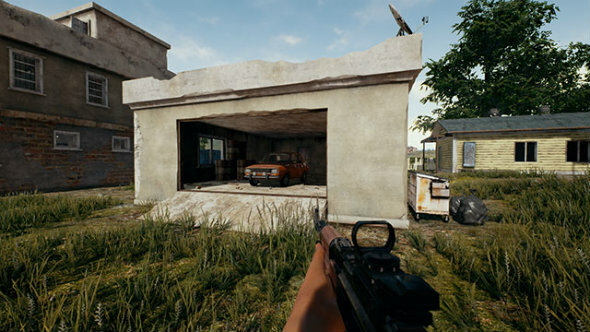 If you are willing to take the risk, garages can be counted as a PUBG best building type not only because of the likelihood of it including a vehicle, but because it can also be an effective way of infiltrating a building undetected. Opening and closing doors creates noise, but some garages will grant you entry without opening any doors at all. That said, that is something to bear in mind if this you intend to use this type of structure as you hideout: other players can gain entry this way, too. This is another reason why smaller settlements are a good idea: the PUBG best buildings for cowards are ones with as few entrances as possible. Fewer entry points mean fewer places to anxiously point your gun towards if you have chosen such a building as a camping spot. 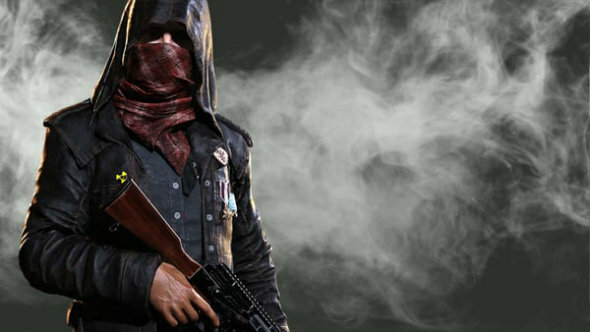 Vests and helmets are always handy to equip, but the PUBG best clothes you can get your hands on do not necessarily add to your defensive stats. Coats, long-sleeved tops, and trousers can complement your look with vests and helmets, but make sure you pick something that is the right colour. All players should aim to blend into the environment, not stand out. Avoid light and bright colours like red and white when choosing your battle royale outfit. Look for camo, black, and grey threads. Keeping the decibel level to a minimum is vital, but avoiding loud clothing can be just as important. 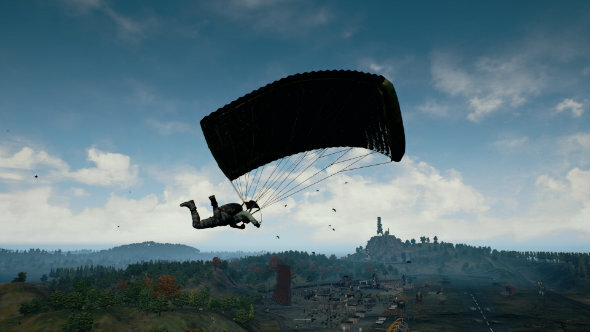 When it comes to the PUBG best places to drop, the combat-phobic should always avoid established settlements like Georgopol and Pochinki. Lots of players gravitate towards them, chasing dreams of high level loot. But for cowards, this is a risk/reward situation best avoided. 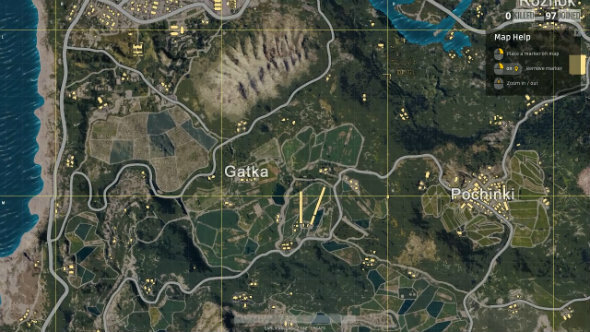 The best PUBG places to drop for cowards tend to be the forgotten scatterings of buildings separate from the main, named areas. Areas with a few buildings rather than full-sized towns might have a lower chance of the best gear, but they come with a lower chance of premature death. These drop spots should provide enough loot to get started before you can fiendishly scavenge the bodies of the less fortunate, but if you are getting frustrated with a lack of gear, Gatka and Stalber are relatively small named areas that are less high risk. If you are playing solo, all other players pose an existential threat. Being bounced back to the game lobby on death is annoying at the best of times, so having it happen straight away can be infuriating. That is why the best place to drop is anywhere other players are not. If you see another player just ahead of you on their way to small settlement, spin on your heel and run the other way: if they are ahead of you, chances are they will get to loot ahead of you. Then you will have to rely on your fists in a gunfight, which does not end well for even the best PUBG players. Sosnovka Island is a bad place for all sorts of reasons. If the circle decides to position itself on the main island, you only have two bridges joining both landmasses together to get to safety – unless you want to risk the extra vulnerability of swimming. 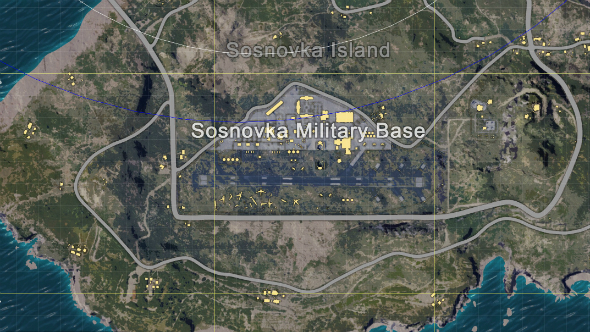 Many confident players might see the military base at the centre of Sosnovka island as one of the best PUBG places to drop. 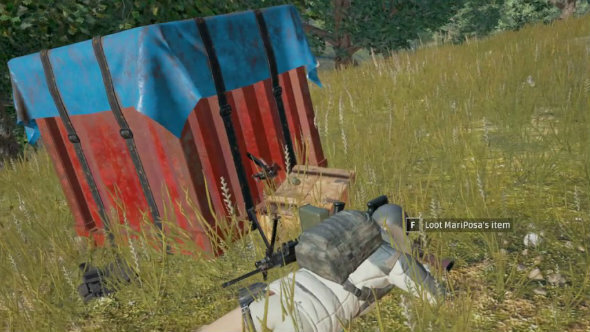 Cowards, however, must avoid such high risk strategies if they have any interest in their PUBG survival. 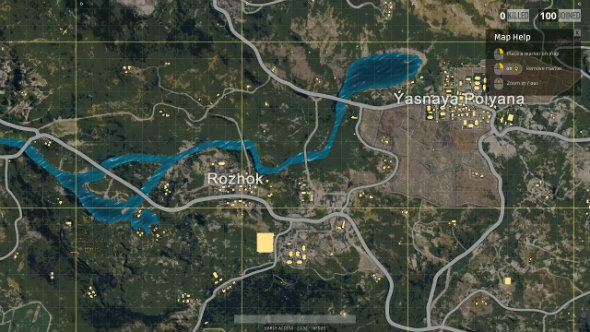 Smaller named areas, like Water Town, School, and Ruins at the periphery of the larger Rozhok settlement, can also be one of the best PUBG places to drop. They are reasonably central, minimising the chance of you making a desperate effort to reach the safe zone. These areas are also dotted along the river: if you can spot a boat, you can make a quick getaway or dash for the circle. There is also have a chance of decent loot, too, without having to risk gingerly passing through larger towns. Only patient players are rewarded with PUBG survival and a delicious protein-based meal. Case in point: many will rush to the ground straight away, but we – the smart scaredy-cats – will fly as far away as possible from the plane. We may have to wait longer in the air, but this gives you a much greater chance of digging in and a getting off to a good start.